Ashwagandha (Withania somnifera) is a plant that is traditionally used in India and Africa as a revitalising. The adaptogen remedy is obtained from the root of the plant. 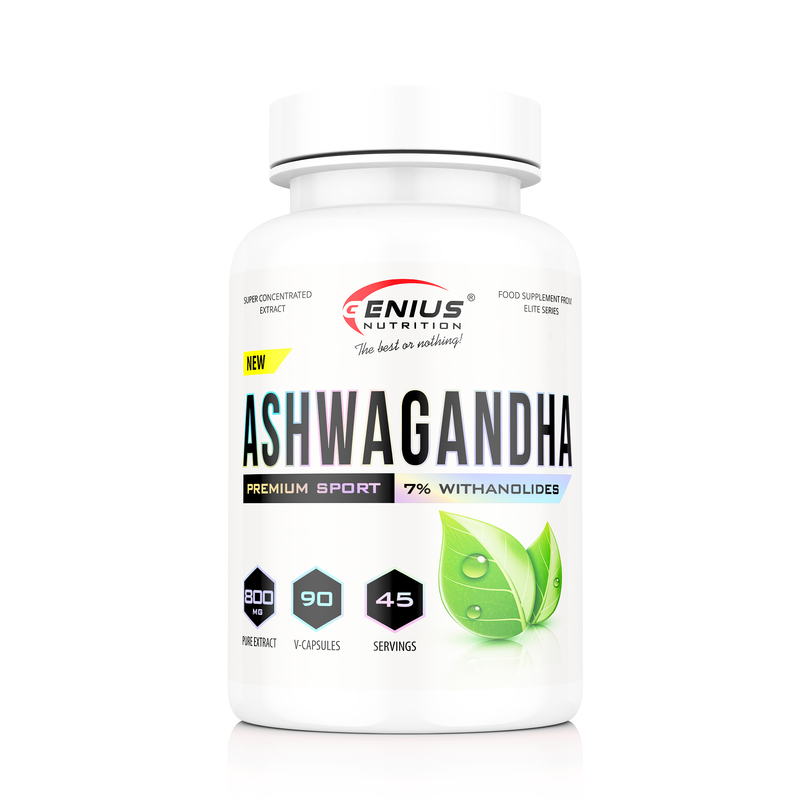 Genius Nutrition® has created a pure and ultra strong extract of ashwagandha containing 7% withanolide. It is also very well known for it's anxiolytic (anti-anxiety) properties, as it can reduce cortisol levels and may mitigate stress-induced insomnia, depression, and immunosuppression. Take 1 capsule with your breakfast and 1 capsule before sleep with a large glass of water. Do not exceed recommended dosage.